Scotland Yard has defended its handling of the inquiries into hacking and corrupt payments by journalists amid heavy criticism, insisting the operations were not “in any way disproportionate”. Trevor Kavanagh, associate editor of The Sun, claimed the police investigation into alleged press malpractice was regarded by many as a “witch-hunt” after five of his colleagues were arrested at the weekend. 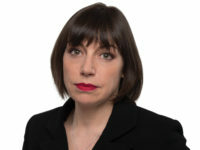 Kavanagh suggested up to 20 officers at a time had raided the homes of deputy editor Geoff Webster, picture editor John Edwards, chief reporter John Kay, chief foreign correspondent Nick Parker, and John Sturgis, who is a news editor. Police denied this however, saying no more than 10 officers attended each of the home addresses on Saturday. 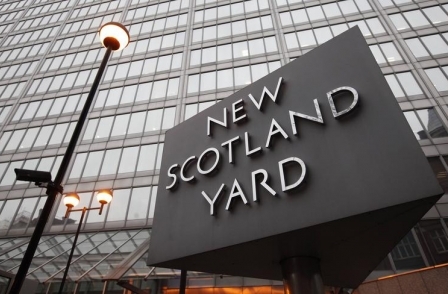 Some 169 officers and staff are currently working on the three linked investigations into phone hacking, improper payments to police and public officials, and data intrusion by journalists – named operations Weeting, Elveden and Tuleta – the Met said. Police described them as “extremely difficult and complex with literally millions of pieces of documentation needing to be scrutinised and examined”. The statement said: “Saturday’s Operation Elveden arrests were as a result of information provided to officers by News Corporation‘s Management Standards Committee (MSC). “We would like to make it clear that no more than 10 MPS officers attended each of the home addresses of the persons arrested as part of Operation Elveden on Saturday February 11. The statement was issued after today’s Sun published Kavanagh’s forthright attack on the police who arrested the five Sun journalists over allegations of improper payments to police and public officials. In a strongly worded article, he argued that those arrested had been released on “draconian” bail terms like those imposed on suspected terrorists. He wrote: “The Sun is not a ‘swamp’ that needs draining. Nor are those other great News International titles, The Times and The Sunday Times. “Yet in what would at any other time cause uproar in Parliament and among civil liberty and human rights campaigners, its journalists are being treated like members of an organised crime gang. He added: “Instead of being called in for questioning, 30 journalists have been needlessly dragged from their beds in dawn raids, arrested and held in police cells while their homes are ransacked. Following the arrest of four former and current Sun journalists last month as a result of information provided to police by the MSC, a News International source told the BBC of an effort aimed at “draining the swamp” to restore journalistic integrity to the publisher’s titles. Kavanagh, The Sun’s former political editor, said it was “absolutely right” for News International to co-operate with the police investigations into phone hacking and illegal payments to public officials. But he added: “Some of the greatest legends in Fleet Street have been held, at least on the basis of evidence so far revealed, for simply doing their jobs as journalists on behalf of the company. He later claimed it was clear there were people who wanted to see The Sun closed down. “There are people who will stop at nothing to destroy News International,” he told BBC Radio 4’s The World At One. He also said there were concerns at the way evidence passed to the police by the MSC was being used. “There is unease about the way some of the best journalists in Fleet Street have ended up being arrested on evidence which the MSC has handed to the police,” he said. A serving officer in Surrey Police, a Ministry of Defence employee and a serving officer in the armed forces were also detained by officers from Operation Elveden on Saturday. All eight people were released on bail. Of the 169 officers and staff deployed to the three investigations under way, 91 are working on Operation Weeting, 61 on Operation Elveden and 16 on Operation Tuleta, with a Detective Chief Superintendent overseeing all three.